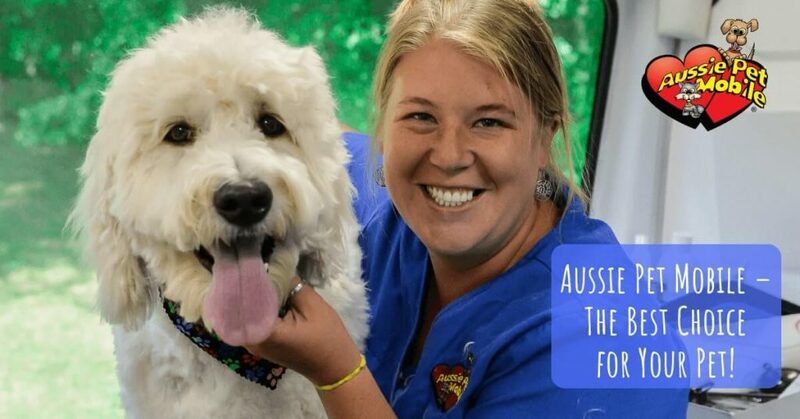 Every day, across the USA, dedicated, certified Aussie Pet Mobile Groomers are caring for dogs and cats. Nothing could be easier for pet families. 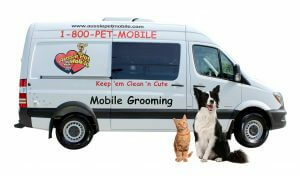 Just call 1-800-PET-MOBILE and one of our beautiful mobile pet salons will come right to your door. No more loading your pets in the car to haul them to a groom shop. No more sitting all day in a lonely cage for your four-legged friend. Most importantly, NO MORE CAGE DRYERS!! Aussie Pet Mobile never, ever uses cages of any kind. Your pet will receive 100% one on one, hands on, personal care right in your driveway. Naturally, your Aussie Pet Mobile Groomer can provide your pet with all types of haircuts. From classic Poodle cuts to adorable puppy cuts to summer cuts or shave downs, we can do it all. We also offer grooming, kitty cuts and lion cuts for all types of cats. If your kitty is hurting because they got matted and can’t clean it up themselves then our great Aussie Lion Cuts will make them look and feel like the King of the Jungle! Haircuts are only part of what we offer your pets. All our four-legged clients receive our Aussie Pet Mobile 15 Step SPA grooming service. There are many other services available for your pet. We have an amazing de-shedding treatment that absolutely will significantly reduce shedding. We can provide a soothing Hot Aloe SPA Re-Moisturizing treatment that will make your pet melt with pleasure. You’ll be jealous! Teeth brushing, pad treatments, flea baths, older pet care and much more can easily be provided by your Aussie Pet Mobile Groomer. Call 1-800-PET-MOBILE (1-800-738-6624) today to make your appointment or visit us online at www.AussiePetMobile.com.